Assigned to write his alphabiography—a chronicle of his life with chapters headed from A to Z—seventh-grader Joe Bunch is at first uncertain. This English assignment is going to be boring. What if he tells the truth and someone besides his teacher reads it? And the part about ending each chapter with a “life lesson” seems totally lame. But as Joe’s chapters build from “A” for his best friend Addie to “F” for family to “T” for turning thirteen and beyond, he finds his entries becoming increasingly honest and thoughtful. He writes about his crush on Colin Briggs, about being gay, and about a world where acceptance and ridicule can be confusingly intertwined. The unique personality at the center of Howe’s lively character study is captured through the novel’s unusual format: an “alphabiography” peppered with pages of transcripted dialogue, instant messages and chapter-ending “life lessons.” But perhaps what is most striking about Totally Joe is not the stand-out hair, apparel and attitude of its flamboyant protagonist but the poignant similarities between his experience and that of all young teens as they strive to be true to themselves in a junior high world where following the crowd—and not one’s own heart—often seems to be the easiest and least painful path. Joe Bunch is an honest and likable gay young adult and an inspiration to anyone struggling to feel good about his or her identity. 1. In his opening letter to Mr. Daly, Joe writes, “let’s face it, I’m not exactly your average Joe and I get called plenty of names because of it.” To what types of names is Joe referring? What things make Joe seem other-than-average? How does Joe seem to feel about these qualities of his personality? 2. Who are Joe’s three best friends? What does he like best about each of these people? How are Addie, Skeezie and Bobby also dealing with qualities that make them “not exactly average”? Why do they call themselves the “Gang of Five”? 3. In the chapter entitled “B is for Boy,” what does Joe describe as the qualities of a “guy-guy”? Do you think his description is accurate? What have been the results of Joe’s occasional attempts to behave like a “guy-guy”? Have you ever tried to act like a certain “type” of person—or the way you understood this “type” of person to be? Describe the experience. 4. Who is Colin Briggs? How does Joe come to realize that his feelings for Colin are reciprocated? What obstacles stand in the way of their relationship? Compare and contrast Joe and Colin’s relationship with those of Addie and DuShawn, and Bobby and Kelsey. What frustrations does Joe feel when he observes his friends’ romances? What might you say to Joe if he were to share such frustrations with you? 5. Why is Joe’s favorite movie E.T.? In what way does he identify with this extraterrestrial character? What (or where) is Wisteria? Have you ever felt like you really didn’t belong—as if you came from another planet? Is there a movie or book that has special significance for you? Explain. 6. Why do you think Joe seems able to be rather matter-of-fact about not being in the popular group, about kids like Kevin Hennessey existing in the world, and even about not everyone being accepting of gay people? Who are the people in his world that make him feel accepted and just right the way he is? 7. Compare and contrast Joe’s parents with Colin’s parents. In what ways does each boy’s family have an affect on his ability to fit into the world—and on his ability to be himself? 8. In Chapter “G,” Addie asks her friends: “If you love somebody, do you go along with them even if you don’t feel right about it?” Answer her question. In what way does Joe “go along” with Colin despite disagreeing with his position? Cite at least one other instance in the novel when standing up for friends causes difficulties for characters’ romantic relationships. 9. Have you ever “gone along” with an action or opinion contrary to your own because of your feelings (romantic or otherwise) for another person? Describe the situation. Were you ever able to share your true opinion with this person? Can a relationship stay strong if one of the people in it is suppressing his or her true feelings or opinions? Why or why not? 10. What characters do Joe and Colin disguise themselves as on Halloween? What happens to their relationship after Halloween? Why do you think events unfold as they do? What does Joe learn from the demise of his relationship with Colin? 11. What “life lesson” does Joe record at the end of the “Merry Christmas” chapter in which he comes out to his family? Do you believe this lesson is true? Is this a lesson that is hard to face? Why or why not? 12. In the chapter “N,” Joe wonders if Kevin or Zachary might be gay. What prompts him to wonder about these individuals? Why do you think some people are more comfortable with their sexuality than others? 13. What new organization does Addie propose to start at the middle school? What people object to Addie’s proposal? From what people do Addie and Joe find support? 14. Why are no-name-calling, a gay-straight alliance, and other tolerance campaigns or clubs a good idea? Why is tolerance important? Is your school a place of tolerance where you feel you can be yourself? Explain your answer. 15. What gifts does Joe receive from his Aunt Pam, his grandparents, and Colin that show their support and care for him? Have you ever received a gift that showed you how much a friend or relative understood you? How did this make you feel? Have you ever chosen or given a gift to show another person your support? Describe this experience. 16. How does Joe finally defeat Kevin Hennessey in chapter “V”? What insights into Kevin’s personality are revealed in the later chapters of the novel? 17. While much of the novel is about Joe’s identity as a gay boy, what other important talent and interest that may shape Joe’s future does he discover in the final chapters—and perhaps through the experience of the “alphabiography” assignment? Have you ever been surprised to discover a new interest or talent? How do your talents make you stronger? 18. How does Joe feel about Zachary’s mannerisms? Does he make any comments about them? How might his experience with Colin have affected Joe’s thoughts about and behavior toward Zachary? 19. What does it mean to experience junior high school outside of the mainstream crowd? What does it take to fit in? Can everyone fit in if they try hard enough? What should you do if you don’t find yourself fitting in? Should you care? Do you think everyone—even kids in the most popular crowd at your school—feels like an outsider at one point or another? Why or why not? 20. At the end of the novel, how does Joe feel about his life so far? Are you as optimistic about the future as Joe? DESCRIBE YOURSELF. In Totally Joe, James Howe employs a clever literary form: a first-person “alphabiography.” What impact does this structure have on your understanding of the novel and its main characters? What other unique literary elements can be found in the novel? Do you feel these literary forms help you understand Joe’s character better than a more traditional, linear novel? Why or why not? Outline twenty-six chapter headings for your own alphabiography. Or write a dialogue transcript, collection of life-lessons, or sequence of instant messages to describe an important event in your life or an aspect of your personality. THINK ABOUT FRIENDSHIP. Joe belongs to a small circle of friends, each of whom doesn’t fit the mainstream for one reason or another. Do you find yourself identifying with an aspect of Joe, Bobby, Addie or Skeezie’s junior high experience? Write a paragraph explaining why you feel you identify with one of these characters or with which character you would most like to make friends and why. Or write about your own group of friends and why you feel connected to them. HEARING THE TRUTH. 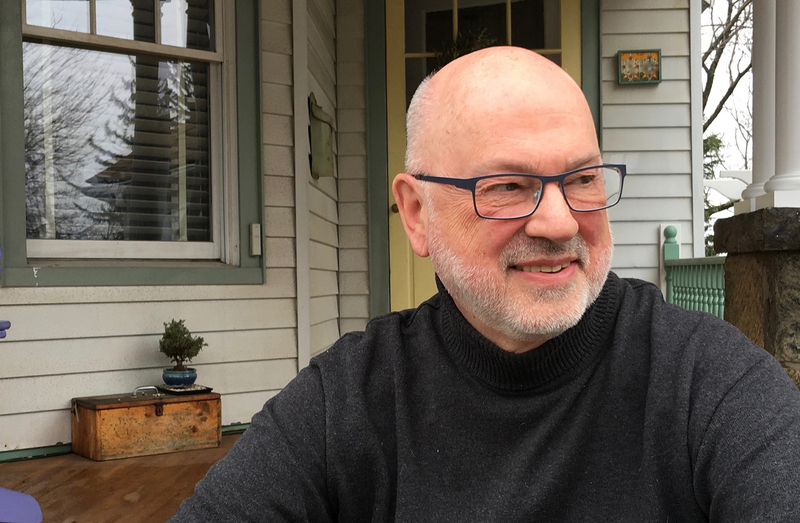 Although the novel chronicles the year that he formally came out to his family, Joe has recognized himself as gay for a long time. And, for a long time, members of his family have been supportive in a variety of ways. In the character of Joe’s father, mother, aunt, grandparents, or brother, write a journal entry describing your reaction to Joe’s formal declaration of being gay. Are you surprised, relieved, happy, worried? How do you hope Joe felt about your response to his announcement? LIFE LESSONS. Choose your favorite end-of-chapter life lesson from Totally Joe. Write a short essay explaining why you find this lesson particularly interesting, insightful, or truthful and share an experience from your own life to which this lesson applies. APPEARANCES, IMPRESSIONS, IDENTITY. 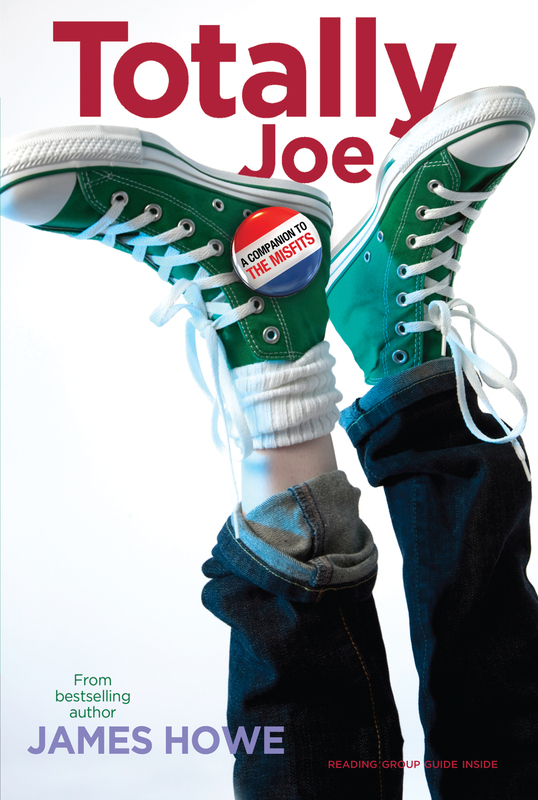 In the course of the novel, Joe tries on different names, different clothes, and different attitudes. Have you ever tried to express your identity from the outside-in, through your style of dress, for example? What was the result? Flip through a magazine or catalogue, looking at the clothes worn by various people in articles and advertisements. Write a quick character sketch for 4-5 of these people based on their clothing, posture and any other clues offered by the pictures. Invite friends or classmates to characterize the same pictures. Do they reach the same conclusions about these characters? Why or why not? Discuss whether the way a person speaks, gestures, or moves makes you assume that he or she will be a certain type of person. What conclusions might you draw from this exercise? DISCUSSING TOLERANCE. From being gay to dating someone of another race, Totally Joe explores the lives of young people facing the truths of their identity—and risking teasing and discrimination at school—with courage and humor. With friends or classmates, hold a debate or round-table discussion about whether people’s romantic interests, hobbies, political opinions, race, religion, or other characteristics or attributes should affect the way they are treated. Why is it sometimes hard to be tolerant? What risks are involved in accepting others for who they are? Can a school where everyone is tolerant and compassionate actually exist? Why or why not? PRACTICING TOLERANCE. Create a plan for making your school a more tolerant and accepting place. Your plan might include a “No Name-Calling Day,” (visit www.nonamecallingweek.org) a Gay, Lesbian, and Straight Alliance, and/or a clear code of penalties for intolerance and discrimination. Go to the library or online to find more ideas for improving tolerance and embracing diversity in your community. Try www.GLSEN.org (the website of GLSEN: the Gay, Lesbian and Straight Education Network) or pbs.org/inthemix/ (a PBS web page featuring the “What’s Normal” series about teens and stereotypes plus transcripts from other programs featuring gay teens). As another good resource you can try www.teachingtolerance.org. Create an informative poster describing your plan to present your idea to friends or classmates. "A character that lives and breathes with all the inconsistencies, fears, and longings of your normal, average seventh-grade homosexual."